Building Blocks Construction Inc. is a Toronto & Mississauga Area Contractor that specializes in Jewel Stone, Sierra Stone and Exterior Insulation & Finish System Application (more commonly known as Stucco Installation). Our company understands the importance of a successfully completed product and we are committed to customer satisfaction. Exceptional service is an integral part of our business philosophy and we will establish a line of communication with our clients to keep projects within scope, on budget, and on time. To this end, we have a successful track record which we continue to build upon with each new project. Our clients are more than “customers”. They are our business partners. This unique relationship allows us to provide superior service and impeccable professionalism at a great price. As we continue to develop long standing, profitable relationships, we welcome partnerships with reputable builders that will strengthen future collaborations. Inspired by our achievements, we look forward to our future. Building on a solid reputation of quality performance, effective problem-solving abilities and true professional integrity, our company has attained the status of a premier service provider. You will always receive quality construction services from Building Blocks. 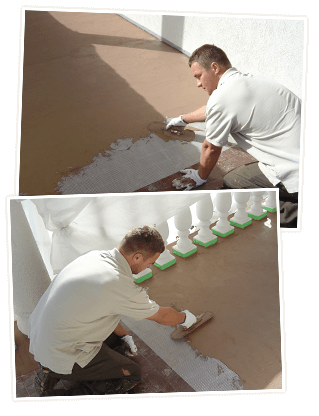 Also, to further protect your investment, our work is guaranteed and competitively priced. Building Blocks undertakes a wide variety of projects. From large, commercial sites to small, residential projects, we are able to connect with all our clients and ensure that we not only meet expectations, but surpass them. Our goal is to maintain a high level of quality service, ethics, and professionalism, while demonstrating a caring attitude towards employees and clients. We are committed to providing expert workmanship and dependable management while building long-term relationships with our clients.